There won’t have been many smiles when the closure and demolition of the old Kodak film manufacturing plant in Harrow and Wealdstone was announced, however this year saw the demolition process get under way, initiating the regeneration plans for this 30 acre site in the heart of a busy residential area. RYE Demolition were eager to use the latest product in the Motofog range to help mitigate nuisance dust. Helping protect residents and employees from the inevitable dust pollution was Inmalo’s new Motofog MF60D dust suppression system with a powerful Yanmar 3-cylinder diesel engine and an impressive 55m throw. The MF60D may be repositioned three or four times a day depending on the wind direction and the type of work being carried out. The site in Harrow requires significant ground stabilization work and this creates additional dust problems especially during the warm summer months. The Motofog has a 90-degree angle of oscillation which puts up a formidable spray curtain to capture and bring to ground dust clouds. 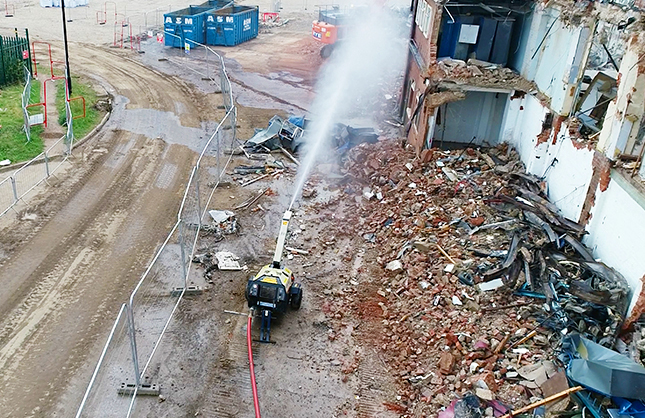 “The MF60D has proved itself to work well and be highly effective with the high reach demolition work, enabling dust to be quickly contained at the source. The ability to move and reposition the MF60D quickly ensures work continues to schedule with the least disruption and diverted manpower”, says Steve. 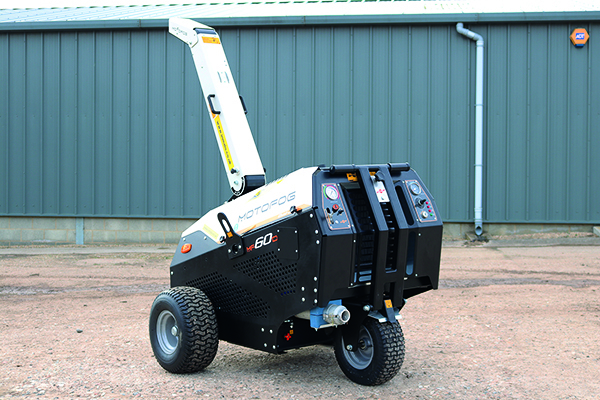 The Motofog MF60D with its on-board engine weighs in at only 435kg and this makes it easy to move around site by hand, fork lift or chains. Watch the video below to see the MF60D in action or visit the inmalo website for more details.